People have used garlic as a food and medicine for more than 5000 years. Garlic is native to Central Asia and northeastern Iran, and has long been a common seasoning worldwide, with a history of several thousand years of human consumption and use. The ancient Indians, Chinese, Egyptians, Greeks, Romans, and other peoples have used garlic for thousands of years, as food and as medicine. One of the most famed usages of garlic was during the Middle Ages, when it was reputed to have been highly effective against the plague. India is second in area and production of garlic in the world, The countries with high productivity grow long day type garlic whereas India grows tropical type garlic, which matures in 130 days in short winter. Gujrat and Madhya Pradesh is the leading garlic producing State in India in which Mandsaur,Dessa and Ahmedabad is biggest market in India from where we exports best quality of garlic. 1. 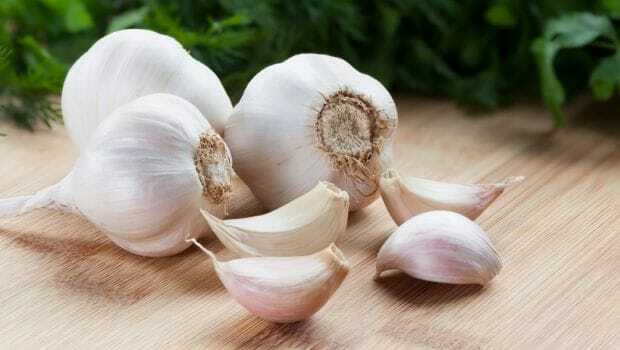 Garlic helps strengthen your body's defenses against allergies; helps loosen plaque from the artery walls; helps regulate your blood sugar levels; and is the best choice for killing and expelling parasites such as pin worms from the human body. 2. Another benefit of garlic is it helps regulate the body's blood pressure. So whether you have problems with low or high blood pressure, garlic can help equalize it. 3. Research studies also suggest that consumption of garlic associated with a possible decrease in the incidence of stomach cancer. 4. Allicin and other essential volatile compounds also found to have antibacterial, antiviral, and anti-fungal activities. 5. Garlic can thin the blood similar to the effect of aspirin. 6. In addition to all these health benefits, garlic is packed with vitamins and nutrients. Some of these include protein, potassium, Vitamins A, B, B2 and C, Calcium, Zinc and many others. 3. If our buyer personally wants to visit us. We can show them every market and their every other GARLIC quality personally.